2011. RUSSIA. Vladimirskoe, Nizhegorodskaya oblast. 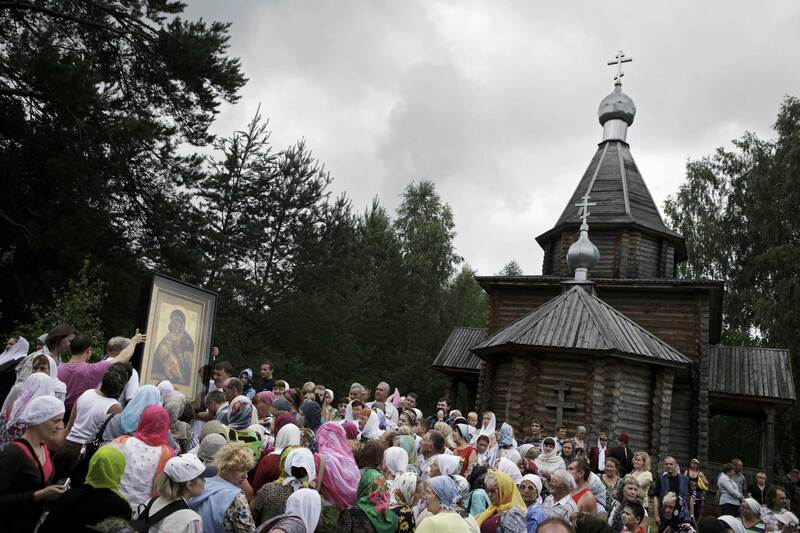 On the day of the slavic summer festival of Ivan Kupala, a procession of icons from a nearby church to a chapel by the lake.